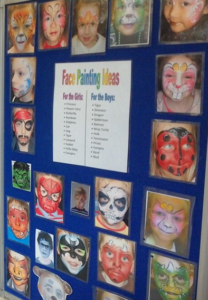 Face painting and balloon modelling! 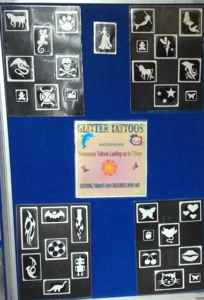 Mrs Merlin has a selection board full of different faces and glitter tattoos on offer, so pop in and have her cast a spell to have you transformed into your favorite animal. 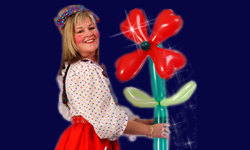 There will also be a chance to see have her mystically and magically forge everyday items from balloons.